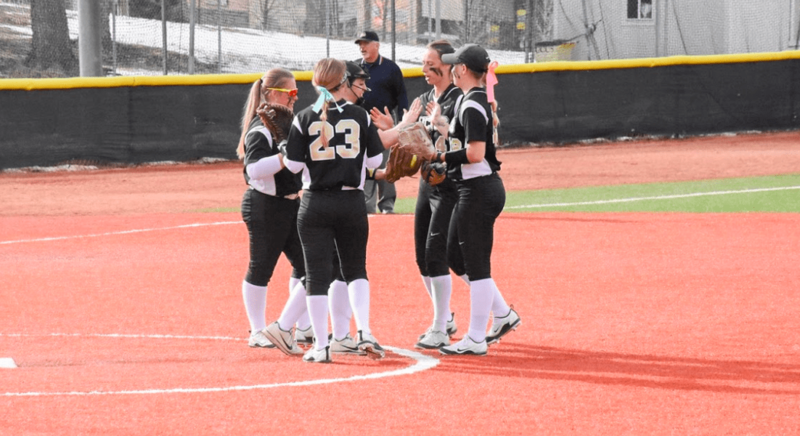 UCCS softball began their 2019 season on Feb. 24 and 25 with four heavy-handed victories against CSU Pueblo. The home openers were the team’s first games of conference play, with previous games taking place at non-conference tournaments. Originally set for Saturday and Sunday, the two double-headers were pushed back a day as heavy snow encroached on Colorado Springs, covering the area in several inches of white between Friday and Saturday (Feb. 23 and 24). Then, on Sunday, the games were postponed an additional hour to allow crews to finish clearing the field of snow that fell Saturday night. Once play got underway, CSU-Pueblo took the lead early, scoring a single run in the top of the second inning. UCCS responded with four runs in the inning’s second half, taking advantage of four defensive errors by Pueblo. The lead was extended from there, with two more UCCS runs in the fourth inning, and four in the bottom of the fifth. In contrast, CSU Pueblo managed only three runs in the same span of time. UCCS wrapped up that game with an 11-3 win. Game two saw a similar result, with UCCS coming out on top 15-5. Five home runs from five batters contributed to the win, batting in a total of 11 runs. Last to come was a fifth-inning grand slam by Payton Romines, a sophomore from Panama City. 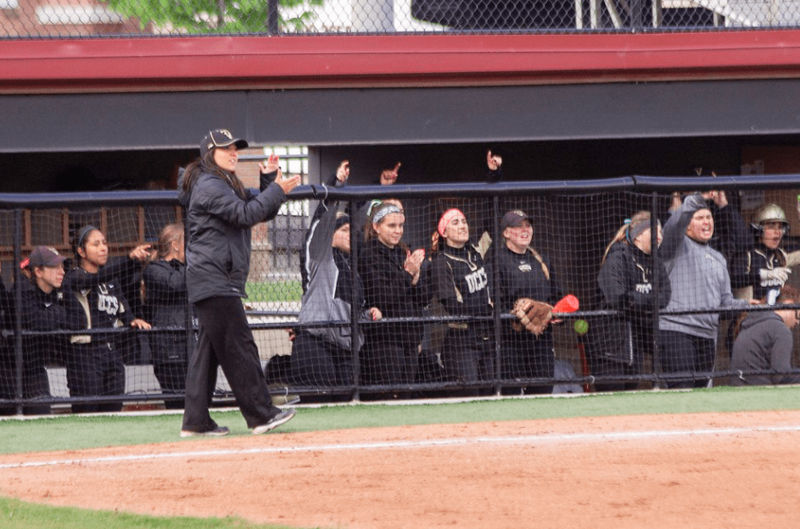 The game ended after only five innings, handing UCCS their second conference win. At all levels of softball, the game is equipped with a mercy rule, which ends games when a winning team has a certain lead at certain points. In the NCAA, if one team is ahead by at least eight runs, and the visiting team has batted in at least five innings, then the leading team automatically wins. As a result of this rule, the games on Feb. 24 were cut short after respectively six and five innings. Games three and four took place on Monday, Feb. 25, and were able to continue through all seven regulation innings. 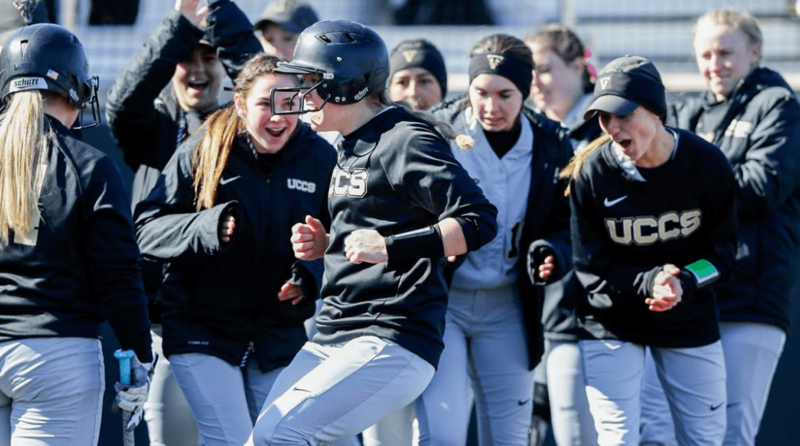 UCCS came up with two more wins at the end of the day, leading by six in game three of the series and by five in game four. Game three was won 6-0 by UCCS, with five of the Mountain Lions’ runs being batted in by Melissa Martinek, a senior from San Jose, CA. Four of those RBIs came from a grand slam in the sixth inning, making the score 6-0. Game four was won 8-3 after seven innings, with runs being acquired in groups of two and three, with a single run in the sixth inning. 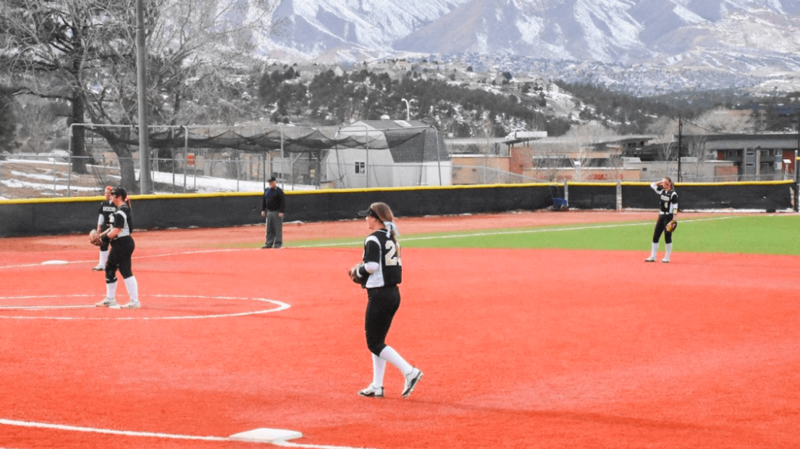 Last weekend, UCCS’ games against Chadron State were also shifted due to inclement winter weather, being played on Friday and Saturday, March 1 and 2, rather than on Saturday and Sunday, March 2 and 3. Three games were played on Friday, with one on Saturday, as opposed to the typical double-header. Next, the Mountain Lions will face off against New Mexico Highlands University and MSU Denver in a two-day conference tournament this weekend. Games begin Saturday at 11 a.m., with live coverage from New Mexico’s athletic department. Coverage is accessible through the UCCS softball season schedule via gomountainlions.com.